(TibetanReview.net, May19, 2018) – The Tibetan Women’s Association (TWA) concluded its 12th General Body Meeting on May 16, vowing to mark Mar 12 as Tibetan Women’s Uprising Day as opposed to the Central Tibetan Administration’s recent decision to mark it simply as Tibetan Women’s Day. The meeting reelected Dolma Yangchen as the president. A total of 192 representatives from 37 regional chapters took part in the meeting which took place at Dharamshala, where TWA is based. Other elected officers included Kalsang Youdon as vice president and Tsering Choezom as secretary. Both have been reelected, with the former being public relations officers in the previous central executive committee. 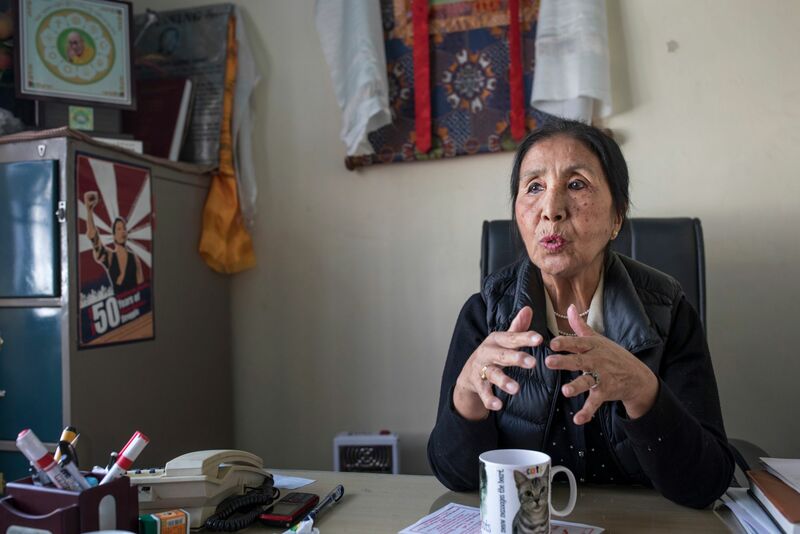 The TWA had opposed the CTA’s declaring of Mar 12 as Tibetan Women’s Day, arguing that for historical reasons it should be declared Tibetan Women’s Uprising Day to commemorate the bravery of the women who had opposed China’s occupation of Tibet during the March 1959 uprising. TWA was set up in 1984 as a revival of the Tibetan women’s movement formed in the wake of the Tibetan uprising in 1959 which culminated in Chinese invaders’ bombardment of the Potala, the winter residence of the Dalai Lama, Tibet’s temporal and spiritual leader, and the secretariat of the Tibetan government.